COLUMBUS, OH, April 15, 2017 - Brown Logistics Solutions recently acquired an additional Pak Mail Franchise. The location of the store is 1885 West Henderson Road in Upper Arlington in the Greentree Shopping Center. Brown also operates another Pak Mail Store at 419 Coleman's Crossing Boulevard in Marysville. COLUMBUS BUSINESS FIRST: "ZEROING IN ON THE SENIOR MOVE TREND"
COLUMBUS CEO: "DOUBLE BRIEFING: LIFESTYLE TRANSITIONS SOLUTIONS CREATED TO HELP EMPTY THE NEST"
marketing division, In Motion Promotion, and by providing superior downsizing and moving solutions to empty nesters and seniors through its senior move management division, Lifestyle Transitions Solutions. Brown is headquartered in Columbus, Ohio and owns and operates a large fleet of trucks as well as a 151,000 square-foot, secure distribution and consolidation center. The company was founded in 1914 in Columbus, Ohio as the Brown-Mackey Transfer Co. and celebrated its 100th anniversary in 2014. The firm changed its name to Brown Logistics Solutions, Inc. in 2008 and is one of the oldest third-party logistics companies in the nation. The company was founded in 1914 in Columbus, Ohio as the Brown-Mackey Transfer Co. and celebrated its 100th anniversary in 2014. 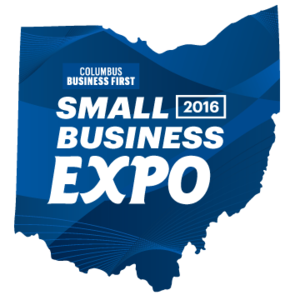 The firm changed its name to Brown Logistics Solutions, Inc. in 2008 and is one of the oldest third-party logistics companies in the nation. .
of Columbus Business First’s Small Business Expo. The company was founded in 1914 in Columbus, Ohio as the Brown-Mackey Transfer Co. and celebrated its 100th anniversary in 2014. The firm changed its name to Brown Logistics Solutions, Inc. in 2008 and is one of the oldest third-party logistics companies in the nation. In Motion Promotion was founded in 2000 and is a leading mobile event marketing company. Lifestyle Transitions Solutions was launched in 2016 and is Greater Columbus' premier senior move management company. Brown Logistics Solutions is a privately-owned, leading asset-based provider of customized logistics and mobile event marketing solutions. Brown's services range from storing and transporting high-value products to providing comprehensive, innovative solutions that allow companies to take their brands on the road through its mobile event marketing division, In Motion Promotion. Brown is headquartered in Columbus, Ohio and owns and operates a large fleet of trucks as well as a secure 151,000 square-foot distribution and consolidation center. The company was founded in 1914 in Columbus, Ohio as the Brown-Mackey Transfer Co. and celebrated its 100th anniversary in 2014. The firm changed its name to Brown Logistics Solutions, Inc. in 2008 and is one of the oldest third-party logistics companies in the nation. In Motion Promotion was founded in 1998 and is a leading mobile event marketing company. Lifestyle Transitions Solutions was launched in 2016 and is Greater Columbus' premiere senior move management company.